" The number one service in generating backup copies for the backup of our information." I am very happy with this great service given by OpenDrive its platform is very easy to use and it is best that we can access it from any device it is only necessary to have our user and password at hand, so we can view our information or upload other files with just drag and drop the same with the mouse and in just a few minutes we will have our information backed in one place. The best thing about OpenDrive is that it offers unique plans since they fit what each user wants, that is, they are highly personalized, so you will pay for what you decide. At the moment of configuring the interface it may take a while to make the changes, but the rest works without any problem. I recommend OpenDrive because unlike other Backup services, it pays for what you decide, as it chooses to your liking, it also provides the best backup of information and files. Having OpenDrive next to me is really very useful because I can store very important information that can be viewed from multiple devices so if I want to work in some collaboration it will be very easy thanks to this great tool, besides it will keep the shared information secure thanks to the copies security that is generated automatically and the best thing is that without a doubt it is always a very flexible service and with a high performance. "Opendrive great backup of files in one place"
Opendrive is a great backup software, I like it because it is extremely easy to use, it has a simple interface that makes it very interactive and comfortable for users, it allows us to customize the interface to our liking, it offers a great flexibility to allow us to choose between a personal plan and a business plan, in addition to that we can even share the amount of files that we like between different equipment and all for a very affordable price for the user's pocket. I have not found any flaw in this great tool, however there are files that are often very heavy so it would be great to implement the power to transform files in a lighter format. Opendrive is a great tool that allows you to keep your files backed up and very organized. It is very reliable and easy to use and its prices are really very low, so testing it would be ideal. Opendrive is really fantastic, since I can have my files in one place and be able to access them from any other computer, besides that it allows me to keep my files very organized and at the same time safe because it automatically makes backups , so I keep my files and information supported and the best thing is that it is so simple to use that I only have to click twice to drag and upload. "OpenDrive powerful storage software! " I like this software called OpenDrive because of the ease of use it provides and because of the powerful and large storage it can provide in the cloud, as well as the fact that it generates backup copies of shared or downloaded documents among users. It makes working with it very simple and safe and the best thing is that it provides access from anywhere. OpenDrive is a very complete tool and fulfills its functions on a large scale so I have nothing to say against it. Opendrive is very useful both for your personal life and for your work life for more than a backup, it provides the facility to manage your projects with other users or colleagues so it is very easy to collaborate in other projects through a single interface. OpenDrive has allowed me to organize my work as well as my life since using it gives me the power to have my documents, images, music and more in one place without having to worry about the loss of them because it automatically generates security copies, It is also very easy to use and allows me to share and keep up to date with my most important events. "Opendrive the online agenda! " I really like Opendrive because it's like using an agenda but online, this powerful tool is very simple to use, its interface is very simple and modern, it allows you to upload or download documents, music, photos, create notes so you do not forget important things. whether they are related to work or personal life and the best thing is that it makes copies of our documents automatically as well as allows file encryption and deduplication which makes it a very simple but extremely efficient and very complete tool. As any online tool or that is supported in the cloud can sometimes get slow but maybe due to internet problems or the number of files that are uploading or downloading. Opendrive is ideal for any professional because you can have everything you need at hand without worrying about losing an important event, or for the loss of some document, photos, music and more, as well as providing extensive storage and automated backups. all for very affordable prices. Opendrive helps me to take my day to day as a software developer as well as my personal life thanks to all the tools it offers I can synchronize files or folders so that they are visible to other users or colleagues, send emails with them and even have the hand my favorite music, photos and much more, that's why Opendrive is ideal for my life in general. File size should be less than 10MB and trial is less than 15 days. 9.99$ per month is pretty expensive for students like me. There is nothing in OpenDrive that I don't like - it has amazing features but somehow I think more features can be added and optimization can be done. Please add reminders as well in it so they show a notification when the event is near. This Store, sync or backup your documents, music and pictures online with instant access, sharing and collaboration, all in a simple to use, secure environment. Attach pictures and documents to any note and write comments. We wish OpenDrive also offered file versioning at their individual plan level, but that isn’t a deal breaker for us. One conceivable deal breaker for some companies might be the fact that they don’t offer an unlimited storage plan. "Onedrive- One of the trusted cloud storage ever." Unlike the most cloud storage providers out there, there are two basic plans for the storage which are indeed unlimited storage, files speed, syncing and much more. There are more options which are customizable according to your needs ranging around 60$/year also, which is for a personal or a business plan. The flexibility it gives to choose between personal and business plan is just amazing. The portability if the Onedrive will just do the icing on the cake kind of stuff as it has android and ios application support also and it supports both the windows and ios . Allows to upload larger files. One of the most downside of these software , which I can say is a big blow for its popularity is lies in it's User Interface. Yes, you heard me right , it's UI is very complicated when it comes to the website version. There is also at times the losses of many files as it does not store the data in two different places. I would definitely recommend these software. Liked the way the plans can be chosen from and also there is a option of custom plan which also includes upto 500gb storage so that is something worth investing. The customer care support is also good All in all a great software . Worth investing. Allows the larger size of file to be stored . So , reducing the heavy work of resizing the file before uploading it. The pricing is just amazing. I think it's cheaper then the other storage provider out there.It merely starts from 6$/month. The reachability is just great. "A good storage service for for online backups"
Open Drive is good when it comes to syncing your content across multiple devices. Its web interface is very good with drag and drop features to upload your content. The storage plans can be customized based on your needs. It has Microsoft office integrated so you can view your word, powerpoint and excel files and perform edits. It keep different versions of the same file so you can restore it if you require to do so. The interface of open drive sometimes looks confusing when you have hundreds of files and folders. Moreover the sorting of the same is difficult. Sometimes it seems expensive to use if your requirements are just above the current plan but you might not need the other features of the next plan in the row. The number of third party apps for open drive are fairly limited. There is no two factor authentication for providing extra security features. Open drive will offer you a good control over your files. You can go back and forth with the file version and keep track of changes. You can sync your content uploaded in one drive across various devices and keep everything up to date with the online storage. You can also use the Microsoft office online to make edits in your files and collaborate with the other users. Open drive offered us good collaboration options for the files like word documents or powerpoint document or office document. The pricing was flexible compared to other online storage services. The content uploaded is synced across all of the devices seamlessly. We use file versioning feature a lot to look out for the revisions made in the file. "OpenDrive for storing the files to sharing and then working on it using inbuilt tools without worry "
1. Managing task is very easy with OpenDrive as they specially have a feature of it and you can add as many as task you want and complete them as soon as your team completed with work. 2. OpenDrive has inbuilt document, spreadsheet and presentation that come handy when working simultaneously on a project this way they are fully equipped not only data storage but also editing and collaborating of the data. 3. The sticky note features comes handy when you like to provide your team with a quick status update like the requirement changes and schedule changes. 1. Once we faced difficulty with their interface when after dragging and dropping the file into OpenDrive but the website was just showing their trashes folder even clicking on the logo this incident was frustrating. 2. OpenDrive's website is not mobile friendly. The one who is concerned about their data and want to take the backup as well as want a better interface software then you should go for it. Sharing the file and then by inbuilt tool provided editing them with your team and working on the same. Just this functionality has a lot of benefit for our company and then comes the main part of backing up the data and sync functionality. "OpenDrive, unlimited cloud storage for your files." OpenDrive is presented to us as a virtual drive where we can access it with our computer and save what we want and be able to access it whenever and wherever we want, and also get the direct link to the files to send it to whoever we want and can download it. We can also create an account for several people and save all the group's files there, to which we will have access and we will be able to modify them together without any major problems. To access our files from a computer or device other than the one on which we have installed the OpenDrive client, we simply need to go to a website that they provide us with and identify ourselves with our data. The worst part about OpenDrive is that every day it has more and more competitors and these are very good... They need to start upgrading their services to better fight the competition and offer better services. OpenDrive has a free version, so we can all try it out. You have tough competitors but OpenDrive has a lot of experience in the industry and personally I am very confident to keep my files there. Thanks to OpenDrive we share all the business files that need to be accessed by several people in the company so that we are always using the latest version of them. Also, as a personal use, we can make backups and forget about losing our precious files if our hard drive breaks down. It's a bit expensive and the free trial isn't comparable to Google services. Even the personal basic plan is not comparable to Google and as an individual youi could really just use GMAIL in replace of this service, although thats not practical for for enterprise. OpenDrive has allowed us to easily backup data to prevent loss and to guard against the consequences of loss stemming from stolen laptops, employees being terminated, etc. its very convenient to access office data anywhere anytime .As data gets automatically synced with the respective computer so ease to data connectivity has increased. Super simple to use. Compression level is one of the best. Uploading and downloading is quite fast. Also available on almost every platform. Pricing is also cheap. A lot of important features which other online storage websites like Google Drive and Dropbox are offering are missing. Google is currently best with features like Google Docs and Slides. But still, the price is much cheaper in comparison to these storage platforms. More file viewing should be made available, code can also be viewed. It helps me access all my files from anywhere. Almost all my friends at work use and we constantly share files. "Better Cloud based backup and Document Sharing Services"
The OpenDrive is the easy, online and managed backup service which I recently started to use for backing-up of my files. The usual backup over my USB is a time consuming, and somehow unreliable process. There was fear to lose the USB and/or picking my data by some un-authorized person. The OpenDrive is effortless backup solution. Google Drive is also good but specifically backup purpose and document sharing requirement the OpenDrive is better. It offers good online tools to manage the backup data. I am using their free account offer and that is also a feature I like. I can store my files and also can share them with friends. Inclusion of the features "Notes" and "Task" is making the OpenDrive a complete package for everyday requirements. In the "Document" section we can make new document, presentation and even spreadsheet that works just fine for formulas too. We can use searching option to find the document. The context menu to give quick access to frequent actions is very decent. For me, I admit that I did not found any missing option that needs to pointout. One missing component is compress and de-compress of files. The absence of this component does not give OpenDrive negative marking as its existing features are great. Opendrive is providing easy, reliable, secure, cloud based backup with various pricing plans covering large data backup support. These are the key features in my opinion so considering OpenDrive will be a good option for persons looking solution for their backup requirement. The quick and organized backup of my files are now in action with OpenDrive. I am just a new user of OpenDrive but, already tried other services. I found OpenDrive good, reliable and easy tool for my daily backup necessity. The first impression of the product is very good, drag & drop feature is also working smoothly. After passing days, I am depending over OpenDrive due to its reliability. I love how simple it is to use. I also love how you can access everything you store from anywhere. It makes saving and sharing documents with colleagues as easy as pie! Online storage made easy! I did not like that everything is stored in the cloud, with no local backup. I sometimes would copy and paste to be able to save something to my desktop. Just an extra step for my convenience. If you want something locally saved on your computer, you have to save it separately than OneDrive. It is unfortunate, but just a minor issue if you like having your stuff local. While working on projects, it is sometimes difficult to reach out to other team members at different locations. When working on project management through OneDrive, we are all able to contribute from several distant locations. This has allowed many great minds to come together. "OpenDrive is a great solution if you're ready to for Cloud Storage"
The best part about OpenDrive is that you can access your documents anywhere as long as you have access to the Internet. Even if you don't have access to the Internet, you can download files locally and upload them once you are connected to the Internet again. The pricing for Cloud Storage is very expensive and I personally do not believe that companies offer enough protection to safeguard data stored in the Cloud. If you're ready to make a move to the Cloud and want an effortless implementation then you should consider using OpenDrive. It is very easy to configure and users will enjoy having access to their documents when they are not at work. We have users that work offsite and they need access to their work files at all times. OpenDrive gives them the access that they need and also provides up to 500GB of storage with their basic plan. Users enjoy this technology because they don't have to worry that their work isn't syncing properly like when they work at home on their laptop and then try to sync things back up once they are back on the network at work. Opendrive is a very useful and user friendly cloud storage platform, it has some unique this like, the best is to be able to manage projects in the cloud. The free service is very limited and only useful to use the cloud storage but not the project management tools nor the notes. The cheapest plan is still too expensive at 10$ per month. Being able to link my folders with project management, saves time because I usually needed a separate software to do that. the best part of OpenDrive is that it's an alternative to Google Drive, Dropbox, OneDrive, Box, iCloud, or any other cloud storage service. Accounts are inexpensive. The notes feature is a nice touch. Honestly, I dislike the user interface. It's boring, dull and could definitely use some work to make it more visually appealing. Make sure you configure the sharing and privacy settings and permissions as you would like them to be, and prevent an open AWS bucket data leak fiasco. "Do not waste your time with this"
They offer apps and ways to connect through many different platforms. They offer unlimited storage, which used to be unique until Amazon offered it as well. Service is extremely slow. There are also numerous bugs in the Windows application that make retrieving files extremely difficult. I'd regularly get errors in copying files to my local system. Their support team was completely useless. The worst was when I went to cancel the service. They don't let you cancel via the website so you have to email them. Then they take their time to respond as well as giving you the runaround instead of just cancelling the service. Bad support, slow service, buggy software. It's not worth it! "A Superior Cloud Storage System With Great Customer Support "
Our company started using OpenDrive last year and results have exceeded what we expected. The cloud saving and retrieval tools are fast and simple to use. There are various tiers of storage, with the first being free. Nearly glitch free for us so far. Some of the pricing options are a bit steep, however it is compensated with bug free software and great customer service which we only needed a few times for basic support. To evaluate how much storage space you need before transitioning to OpenDrive. Having a secure, safe location to electronically store sensitive documents is a major benefit for us, rather than encrypting and splitting up storage. "Store, sync or backup your Files"
Completely portable you can access your photos, documents and videos from anywhere. Share large files easily with others when email limits file size. Works great with all platforms. The free storage is a bit limited to 5 GB. Able to backup all relevant files in the cloud and ability to access on multiple devices independent of the platform. Provides peace of mind that all the files are backed up in a safe place automatically. "OpenDrive Great for Cloud Backup"
I can set up all kinds of different schedules for backing up folders, from real-time to hourly, daily or weekly. PSTs are too big to back up or can seriously degrade computer performance. It is also great for sharing files across multiple devices, accessing files from work (if your company does not blacklist cloud storage providers), and sharing files with friends/family. Because all my folders are backed up to the cloud, I no longer worry about file recovery if my netbook was stolen, destroyed, or I was hit with a virus. It's somewhat expensive, poor user experience, limits 3rd party apps, and poor user support when an issue would arise. 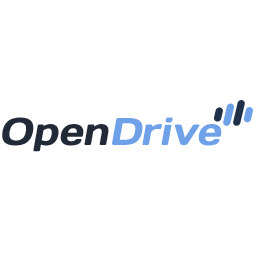 There are a considerable amount of cheaper alternatives to OpenDrive (IDrive, sync.com), so explore what else is out there. What I enjoyed that I didn't realize is that it is a backup & storage hybrid. Previously we had used two different systems for each. "Very good and easy to use UI got all your cloud store needs!" The flexibility of the software as well as the good UI it offers. In addition, it provides you with access to your files on the go and readily accessible anywhere you are. The mobile app application is also very to use as well. Sometimes the server can be a bit slow when you try to access your files. I would recommend this software to others as nowadays you need to have your users to access to important files whenever they are in a secure manner. One could not bring their hard rive or constant look in their emails for the latest files. With Open Drive, the can quickly find their files. Try to manage files and have them readily assessable across users and the organization without physical drives. Sharing and posting files among the users is key to a successful business. "Very nice cloud based storage system"
It is very easy to use. Able to upload and retrieve documents with ease. I do not like that when two people are in a file that it does not let you know that. If what you're working on is important it could be lost. the capability to share files from different locations. Worked great! "Free cloud storage, ideal for project delivery of small teams"
I like the free cloud storage, the ability for us to manage our individual publication projects. Transfer to/from the cloud is not always the fastest. We work on collaborative projects, so ability for people to share their updates is essential to bypass mass email. I like the large storage capacity as well as the ease of uploading and downloading your files. I haven't ever run into anything running slowly or not being able to load or be accessed. It syncs well to any of our devices and makes sharing files within our household easy. I wish you could share folders or files with people that don't have an OpenDrive account. I have used Dropbox in the past and you can at least send a downloadable link to them, but for this you don't have that feature. Storage and file organization. Easy to use. I can add additional account users depending on the selected plan. Being able to create and upload notes is a definite plus. Today, there a lot of cloud storage services available for free and at a considerably lower price. Open drive does not have the best price. Also I had a bit of trouble after signing up and was receiving an error message. This was an inconvinience but eventually was resolved. Integrating documents among my group members is a bit of challenge. Consistent software crashing where it would get frustrating after getting into a good work flow. Being able to communicate work files to my associates without having to get on my computer while being anywhere. "Used for few months and it help me to save some documents"
It’s very easy to use it. I can easier pull the documents I would like to save to there. Well, starting a new software, I have to learn how to use it it takes some time. Saving my video and photo and all the music pieces. One drive is an inexpensive option for backing up and collaboration. Upload speed is slow taking more than 2 weeks to upload 200gb despite a 30Mbps upload speed. I like how I can quickly and easily backup my files from my mobile device. The business problems I'm solving is cleared clutter. The benefits I realize from doing so is more space. "Instant file sharing with tasks and notes "
I like the idea of several things in one place. You've notes, you've tasks and of course, your files all of which you can share with others. Their mobile website is not good enough. I use it on chrome and it isn't as responsive as it should be. I upload important project files, share it with friends & take notes. "Best for lightweight expendable applications"
It's less detail oriented nature by providing a simple file structure to upload instead of folder structure which is more tedious to maintain. It's limited functionality which limits it's ability to be used for larger more bulkier projects, thus making it useless for larger projects or to go solution for the company. Upload your projects artifacts for non prod environments using a cheaper solution. This is something I think every business or company should have. It makes it so easy to store all of your files, information, and photos in one place and it makes it very easy for everyone to access across one platform. Would have liked to be able to share easier, but cannot complain about that as this has so much storage and ease of access. Storage and file sharing. This makes it very easy to store everything and share it. "Best place to put cold data without much work"
It makes the features available on all platforms like the desktop, mobile, API, Bulk etc. The replication policy is also customizable and selects the parameters as required. This is not much trusted with confidential data and have to implement custom security tasks before data goes into it. This is cheaper and easier product to store data but this does not have much developer-friendly data schema storage techniques. Flexible payment plans and sort of unlimited cloud storage. Office Online Integration is available. Not that impressive user experience as well as user support. The one think I like is that I don't have to be on out network to access my files. I wish that it would open where I left off when it was open last. Allowing staff members to access file when away from the office. "Opendrive provides unlimited cloud space." It provides a flexibility for cloud storage plan and files can be access from anywhere. It is a bit complex and difficult to learn. Open drive works best with their unlimited bandwidth plan. It allows businesses to customize the program interface with their company while sharing files with their clients. Also,It automatically syncronize any changes we make to the files with the cloud. "Easy to access, nice features but slow performance"
Easy to setup and access for the company. Upload directories and files and share with ease. Some nice collaboration functions. Liked the WebDAV abilities. Very slow performance. Especially when transfer really large files. WebDAV was unreliable. File sharing between remote users and customers across the globe. Benefits includes a scalable cloud storage. Permission based sharing with out have to host and maintain your own server. "Easy to use, makes it easy to keep data safe"
I like how our easy to use and it backs up data with minimum effort required from my side. It can be slow at times, have seen better products. Backup of the documents in the most secure way possible. Difficulty in installation and setting up the environment. Definite. Must give a try. "Works but not super speedy"
We work with a lot of images & video and it wasn't quite fast enough for our use case. Share lots of images & video quickly over a local network, with an occasional user accessing information over the Internet. OpenDrive is an excellent option for online storage, online backup, file syncing and online file sharing. The desktop app isn't very easy to use and I expected the upload speed to be faster. Security is a major concern for my company. I have found that OpenDrive is one of the most reliable and secure cloud storage services available. Easy to use, flexible options, Reasonable pricing. Custom storage and user options.Good web interface with drag-and-drop capability. Not the most optimum for all purposes. Little hand-holding for new users. Disjointed interface. No continuous backup or local backup setting. Slow upload speeds. * We monitor all OpenDrive reviews to prevent fraudulent reviews and keep review quality high. We do not post reviews by company employees or direct competitors. Validated reviews require the user to submit a screenshot of the product containing their user ID, in order to verify a user is an actual user of the product. Hi there! Are you looking to implement a solution like OpenDrive?